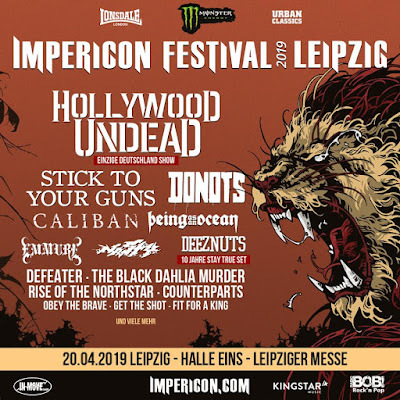 Impericon festival Leipzig, the flagship of Impericon festivals, has revealed two more bands to join the ever-growing lineup. German outfits Caliban and Donots are confirmed for the festival, which is taking place on April 20th, and are guaranteed to get fans off their feet. Tickets are available on www.impericon.de.